After all those picture with different parts, like the display, front or bank panels, we finally get the chance to see how the fully assembled iPhone 6 could look like! Presuming that all the parts from these leaked image are the authentic one, we know what we’ll see in September, when Mr. Tim Cook, Apple’s CEO is finally going to unveil the new generation of the company’s smartphone! As you can see, there’s a high resemblance with the first iPhone model, launched back in 2007, as the flat sides, present since the iPhone 4 were now replaced by a simple, curved design. Of course, there’s a big difference and that’s the metal used for building the iPhone 6. Personally, I still prefer the design of the current 5S and think that continuing with that one would’ve resulted in a way better looking iPhone. But hey, who am I to question the design department’s decisions? The pictured model seems to be the 4.7″ one, but we expect to see a couple of pictures with the 5.5″ version too, if Apple is indeed planning to launch it during the same event. 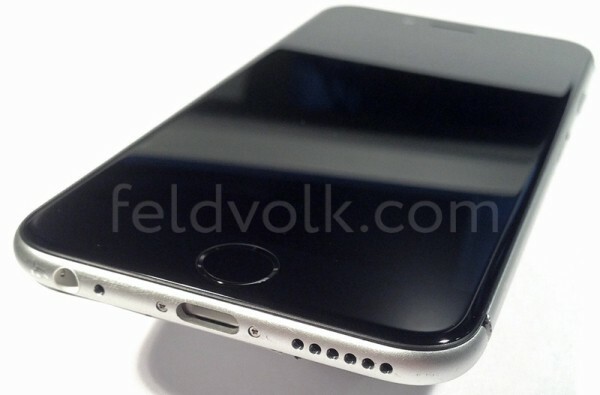 What do you think about the iPhone 6’s design? Do you like it?